In such a multicultural society like the United States, it would be surprising if, sooner or later, in the pages of the popular comic book does not appear the first black superhero capable of on a par with Spider-Man, Thor and Iron Man to resist the threat of danger, experiencing the Earth's defense strength. There was such a significant event in the summer of 1966, when in the 52nd issue of the "Fantastic Four" magazine, from the filing of Wall and Lee Kirby appeared the proud T'challa, Crown Prince of the fictional African country Wakanda. The emergence of the superhero with a characteristic color, traditionally incredible abilities and characteristic behavior could not get past the various ethnic groups in America and soon T'challa popularity reached unprecedented heights and rapid, then it without much thought in a row the team the Avengers. And in spite of the fact that the prince, and then the full-fledged ruler of Wakid, was only one of the knights of the image of the "Black Panther", it was T'chall who became associated with fans of graphic novels with this character who had a great future ahead of him. Having firmly established itself as its own personal series of comic books, T'challa appeared consistently in so-called crossovers and even managed to lead a charming Storm under the crown, who agreed to become the second half of such an outstanding personality. In addition to participating in various kinds of print adventures, the hero repeatedly appeared in animated sketches from Marvel, reminding the audience that he is unique and can not be written off. And in the early '90s, when the shooting process technology began to show an unprecedented rise itself Wesley Snipes tried to present themselves before us in the guise of the "Black Panthers", but constant creative differences and other production problems at the root hacked promising ideas. And yet in the depths of Marvel no one was going to give up the opportunity to transfer the history of T'Challa to big screens. Of course, it took much longer than Stan Lee planned, and yet the "Black Panther" merged into a harmonious series of screened characters of the publishing house and rightfully took the leading positions in the Kino-Universe supervised by Kevin Feigi. Produced by Marvel for a long time tried to introduce T'challu an endless success story begun in Jon Favreau, "Iron Man", trying as gently as possible to bring to build a mythology movie, the universe for a meeting with an idol of the black community. And the best option was the invitation of T'Challa to the conflict, called the "Civil War". Friendly confrontation between Tony Stark and Steve Rogers gradually grew into by a serious, albeit not the most dramatic battle, and T'challa fully demonstrated its unique features, trying to avenge his father's untimely deceased in eternity. Played quite remarkable and not untalented actor Chadwick Bozeman character exuded confidence and unwavering despite the deep emotional conflicts tormenting his soul, managed to find a balance, thereby demonstrating the wisdom that came too early, but the world needs, more than ever before. 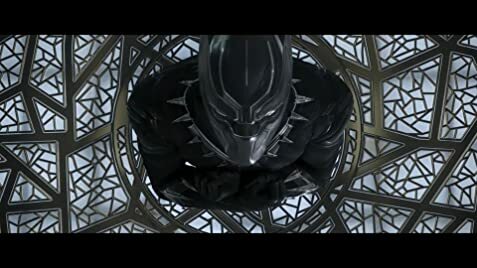 In itself, the plot of the Civil War caused ambiguous feelings among Marvel fans, especially if we compare the scale of events in the movies with what was happening in the comics, but T'challa did not raise any doubts about the expediency of his appearance, and therefore Kevin Feigi gave the go-ahead on the shooting of the solo output of the "Black Panther" under the direction of Ryan Krugler, one of the most interesting directors with a dark complexion, who was obliged to feel with the history of T'challa kinship and show us previously unknown regions of the Movie Universe, to they are destined to play a significant role in the further development of the conflict under the sign of the "Stones of Eternity". So, the plot of the film unfolds in a remote and closed African country Wakanda, which managed to reach unprecedented technological heights due to the myriad deposits of outlandish metal. Developing aside from the major world markets and, consequently, conflicts, Wakanda managed to preserve its identity and at the same time create an exemplary unity of the society in which conflicts start and are happening, but they can always be resolved by the affairs of honor. Entering the throne of a small but proud country, the young heir of the late King T'Chall (Bozeman) decides to continue the policy of isolating the Wakis for the benefit of their own people, never in need of anything, but events in the recent past compel the Black Panther to seriously reconsider their life position. The world was no longer as huge as it was some 10 years ago. Globalization, which picks up the Earth in a whirlpool of cosmic proportions, is also clinging to T'Challa's home, which among other things attracts scoundrels of various colors ready to sell their souls for the treasures and knowledge of the Wakid. Contrary to the specific geographical location of the "Black Panther", it does not feel at all camera and alien. Ryan Krugler's ribbon fits perfectly into the framework of the Marvel Cinema-Universe, showing a charming and, of course, embellished African flavor for the joy of a few tired of the monotony of the previous series of films to the audience. The title character in the invariable performance of Chadwick Bozeman is revealed to us on the best side, demonstrating an excellent physical form and ability to win back emotions that make him a living person, not a schematic heroic character. 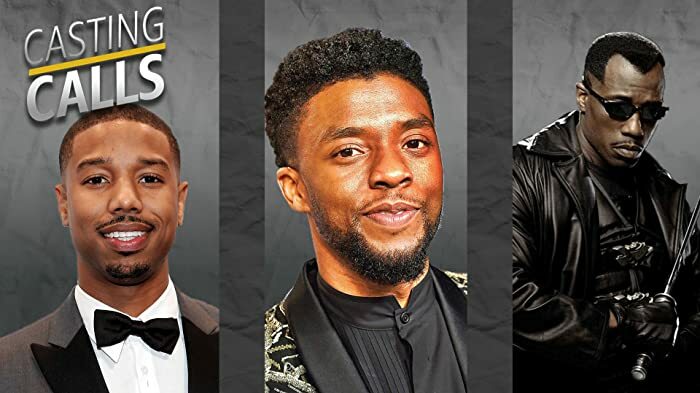 The actor became the real property of the "Black Panther", he skillfully plays out even the most difficult by the standards of Marvel dramatic scenes and manages to joke so that he is not ashamed of him. Of course, by the will of the fate of T'Challa has no right to be merry to the bone, as his country is torn by a serious conflict, but the game of Bozeman takes the hero out of the walls of gloomy reflections and volitional actions in order to show the true humanity of the "Black Panther". Thus, T'challa becomes almost the most interesting character of Marvel since the days of Tony Stark, and although there is not so much eccentricity in him, the hero completely takes the niche taken by Kevin Feigi. And the history of the "Black Panther" is filed so competently that not only African-American viewers will be able to fall in love with it, but also a different category of viewers. And all because Ryan Krugler, Chadwick Bozeman and the unchallenged curator Kevin Feigi understand what they need to do. Certainly, the film has strong ethnic roots, only for a skilfully told story that in fact has nothing to do. Regardless of skin color, each of us has the concept of beauty. And the "Black Panther" is proof that a tightly-shot movie will always find attention and become a favorite for millions. As a result, I want to say that the film by Ryan Krugler reveals wonderful beauties before us, reveals a serious layer of history, is not afraid of bold artistic decisions and at the same time gives Marvel audience a pleasant feeling of comfort. "Black Panther" is colorful, spectacular and epic. It does not violate the laws and stylistics of the Cinema-Universe, which also pleases. Of course, the authors would not be prevented from taking a partial example with the permissiveness of Taiki Vaitichi, the author of the third "Torah", but it is clear that Marvel is increasingly willing to trust the original vision of the directors and still give them the necessary sip of creative freedom. The Krugler tape is proof. Concept artist Till Nowak's favourite set designs were the Tribal Council and the Jabari Throne Room. Producer Kevin Feige's credit is represented by a throne.